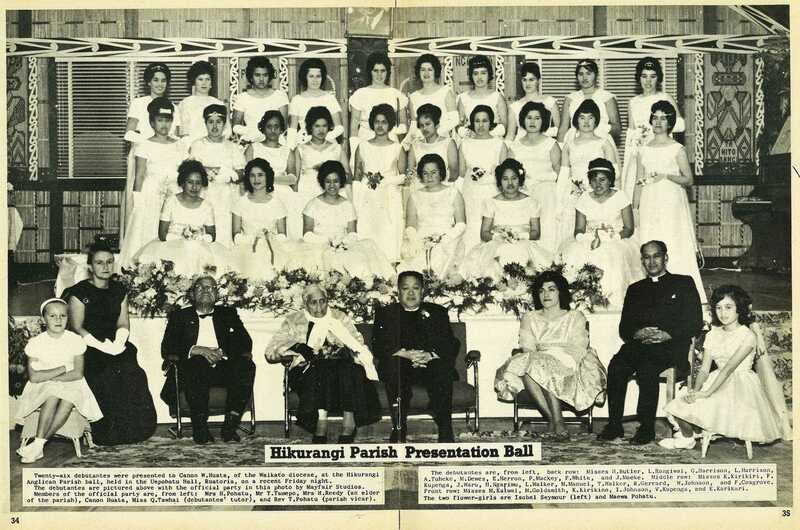 Twenty-six debutantes were presented to Canon W. Huata, of the Waikato diocese, at the Hikurangi Anglican Parish ball, held in the Uepohatu Hall, Ruatoria, on a recent Friday night. 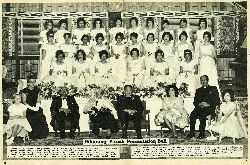 The debutantes are pictured above with the official party in this photo by Mayfair Studios. 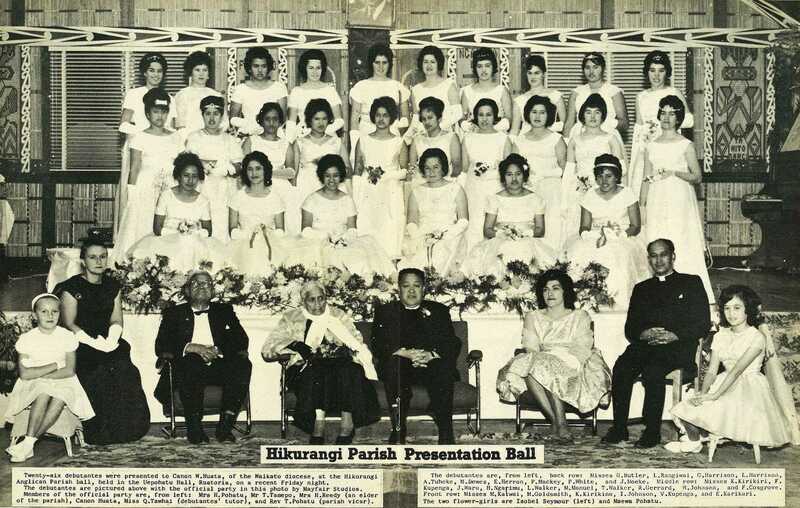 Members of the official party are, from left: Mrs H. Pohatu, Mr T. Tamepo, Mrs H. Reedy (an elder of the parish), Canon Huata, Miss Q. Tawhai (debutantes' tutor), and Rev T. Pohatu (parish vicar). 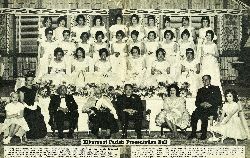 The debutantes are, from left, back row: Misses H. Butler, L. Rangiwai, G. Harrison, L. Harrison, A. Tuheke, M. Dewes, E. Herron, P. Mackey, P. White, and J. Moeke. Middle row: Misses K. Kirikiri, F. Kupenga, J. Waru, H. Ngarimu, L. Walker, M. Manuel, T. Walker, R. Gerrard, W. Johnson, and F. Cosgrove. Front row: Misses M. Kaiwai, M. Goldsmith, K. Kirikino, I. Johnson, V. Kupenga, and E. Karikari. The two flower-girls are Isobel Seymour (left) and Maewa Pohatu.